A new Tomos concerning the creation of the Ukrainian Orthodox Church is about to be issued soon. The assembly of representatives of three Orthodox Churches operating in Ukraine should reach an agreement on the establishment of the Church. Ecumenical Patriarch of Constantinople will give it autonomy. However, this process may not be easy. On October 11, the synod of Ecumenical Patriarch of Constantinople in Istanbul decided to issue a Tomos on autocephaly to Ukraine. Generally, the decision has been made, but one still has to wait for the Tomos itself. An important decision was lifting the anathema against the leaders of the Kyiv Patriarchate and The Ukrainian Autocephalous Orthodox Church, and thus the recognition of these two Orthodox churches as canonical. It means the restoration of the religious authority of Patriarch of Constantinople over Ukraine. At least that’s what they think in Constantinople. Until 1686, the Eastern Orthodox metropolitan bishops of the Kyiv Metropolis were subordinated to the Patriarchate of Constantinople. Then Constantinople allowed the Patriarchate of Moscow to manage the Kyiv metropolis temporarily. That is why the Patriarchate of Constantinople considers itself imperious to give the Ukrainian Church autocephaly. Until now, the Russian Orthodox Church (Moscow Patriarchate) was considered as the only legal Orthodox Church in Ukraine according to the canon law. In turn, two further Ukrainian Orthodox Churches – the Ukrainian Orthodox Church (Kyivan Patriarchate) and the Ukrainian Autocephalous Orthodox Church – were not treated as official ones by the international Orthodox community. Ukraine has already tried to become independent of the Russian canonical board, but it faced severe opposition from the Russian Orthodox Church and its allies. This year, however, there was a breakthrough. In April, the Ukrainian authorities and the representatives of the Ukrainian Orthodox Church (Kyivan Patriarchate) and the Ukrainian Autocephalous Orthodox Church turned to the Patriarchate of Constantinople asking for autocephaly – and the answer was affirmative. The process related to issuing the Tomos has started. The operation of the Patriarchate of Constantinople caused a predictable negative reaction from the Russian Orthodox Church. It has emphasised so far that the Ukrainian Orthodox Church (Kyivan Patriarchate) and the Ukrainian Autocephalous Orthodox Church are non-canonical, which reduced the number of their faithful. According to Moscow, only the Moscow Patriarchate can be considered as canonical. Thus, the Russian Orthodox Church has recognised Ukraine as the canonical territory of its Church. On August 31, the Primate of the Russian Orthodox Church, Kirill, met the Patriarch of Constantinople and tried to persuade him to postpone the decision on Ukraine. Nevertheless, at the beginning of September, the Holy Synod of the Patriarchate of Constantinople took place. It was proved that the Patriarch of Constantinople still has the legal rights to the territory of Ukraine. In September, Patriarch Bartholomew I of Constantinople appointed two of his exarchs in Ukraine. Their tasks were to organise talks on issuing autocephaly and helping in the process of the unification of the Ukrainian Orthodox Church. Moreover, then there was the mentioned October Holy Synod in Constantinople. In response, on October 15, the Russian Orthodox Church organised its Synod in Minsk, and it was not an accidental choice. It was the first time the bishops met outside of Russia. The Belarusian Orthodox Church is also subordinate to the Russian Orthodox Church. The Ukrainian autocephaly means for the Russian Orthodox Church the loss of its influence in a state with a large number of Orthodox believers. It is not only an image failure, but it can also bring measurable losses. The Russian Orthodox Church (Moscow Patriarchate) has around 12,000 parishes in Ukraine. 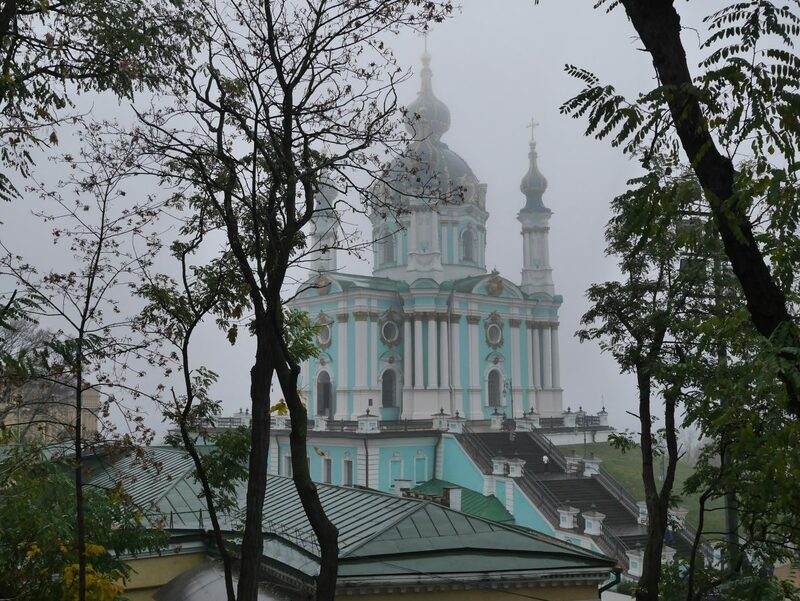 Regarding the number of parishes and the number of sacral objects maintained, it occupies the first place among the Orthodox churches operating in Ukraine. However, it is not the biggest Church when it comes to the number of the faithful. The autocephaly also means less money for the Russian Orthodox Church. The question is, which other Orthodox Churches will support each side of the dispute. However, it is not only about the Russian Orthodox Church. The subject of Ukrainian autocephaly has been one of the main ones in the Russian media since September. Russian political scientists and politicians accuse Kyiv and the Patriarchate of Constantinople of leading the division in Orthodox Church. The Russians have even threatened with religious conflict in Ukraine. Besides, the Russian Orthodox Church is closely connected with the Russian authorities and its policy towards the so-called Russian World. Representatives of the Russian authorities believe that the Ukrainian autocephaly is another attack of the West on Russia. It can be said that the October Synod in Constantinople cleared the field, i.e. gave the green light for the creation of an autocephalous Church in Ukraine. The next step should be the Council of the Ukrainian Orthodox Church. The representatives of the three Orthodox churches operating in Ukraine should participate in it. The Ukrainian Orthodox Church (Kyivan Patriarchate) and the Ukrainian Autocephalous Orthodox Church decided to do so. The question of the participation of the Russian Orthodox Church (Moscow Patriarchate) remains open. Apparently, the Russian Orthodox Church (Moscow Patriarchate), which is under the control of the Russian Orthodox Church, is officially against the creation of the Ukrainian Autocephalous Church. However, some of its clergymen, at least in the opinion of the Kyiv Patriarchate, are ready to take part in the assembly. All the more because the Patriarch of Constantinople recognised the Ukrainian Orthodox Church (Kyivan Patriarchate) and the Ukrainian Autocephalous Orthodox Church as canonical. It is important whether the representatives of these Churches manage to reach a quick consensus. The fact that the Council will take place under the control of the Patriarch of Constantinople reduces the risk connected with conducting it. To some extent, at least. Most likely President Petro Poroshenko wants the Tomos as soon as possible. The presidential elections in Ukraine will be held next March, and the current President made autocephaly one of the unofficial slogans of his campaign. Right now, it is not precisely known when the Council of unification will come. Further reactions of the Russian Orthodox Church and the Russian authorities are not known either. The creation of Ukrainian Autocephalous Church may trigger the process of passing the parishes from the Moscow Patriarchate to the new Church. There are also concerns about possible provocations that could lead to clashes between the faithful of different Orthodox churches. Meanwhile, according to recent sociological studies, 71.5% of Ukrainians do not really know what the Tomos is.